Few things can be more inspirational for an aspiring writer than to attend the book launch of someone you admire and respect. 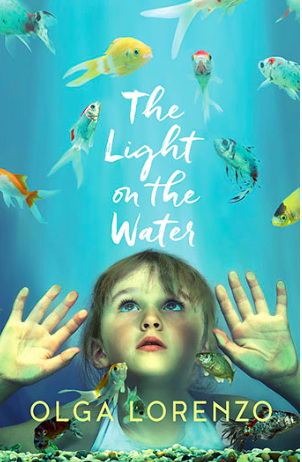 Olga Lorenzo is a creative writing teacher at RMIT and her new book - The Light on the Water - was launched at Readings Bookshop in Carlton on Thursday night. The place was packed to the walls and every face was beaming. The goodwill in the room was palpable and not just because of the free wine. There were family members, close friends, lecturer/colleagues from RMIT and elsewhere and plenty of students, most of them aspiring writers. When Olga read from her book there was rapt attention and the excerpt she chose delivered all that we could have hoped. Most of us left hugging a signed copy of the book (I started to read mine as soon as I got home and can't put it down) and I'm guessing a lot of us were thinking 'Oh please let this be me one day!' - not in envy, but in happiness for someone else's success and inspired by all those years of persistence that culminated in a joyous night like this. Congratulations Olga and thank you for sharing!